For Novice to Advanced. Join the fun, learn a new skill. • Course Setter: Christopher Hand, long time McKaig Member. 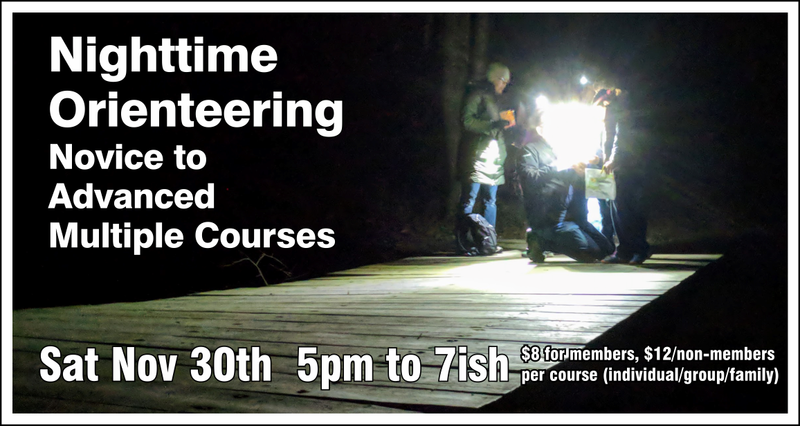 Delaware Valley Orienteering Association sanctioned event. • Bonfire at the Beach (Map White 21) with s'mores (donations requested). • Meet in Old Roberts Schoolhouse for registration and instructions. • Park in Roberts Elementary School parking lot. 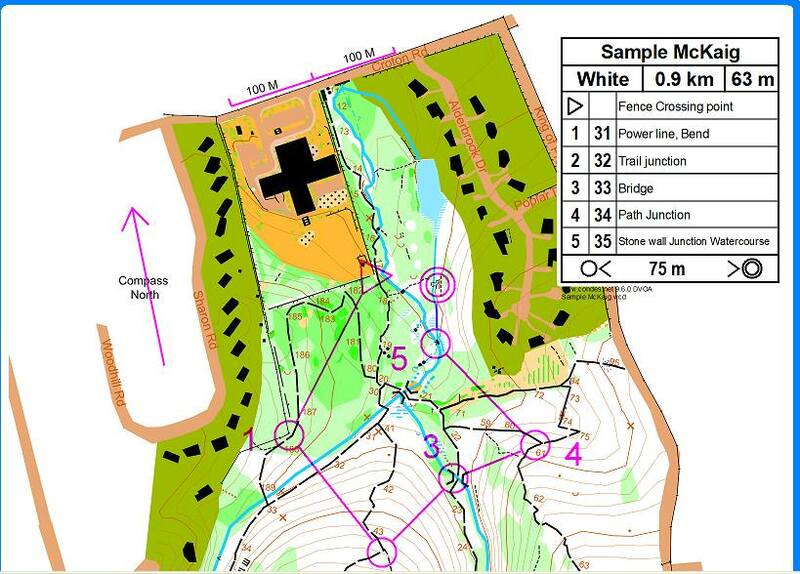 Here is an example of what an orienteering course might look like in McKaig. The course map we give you will direct you to go from one location do another. Your job is to get from place to place as efficiently as you can. 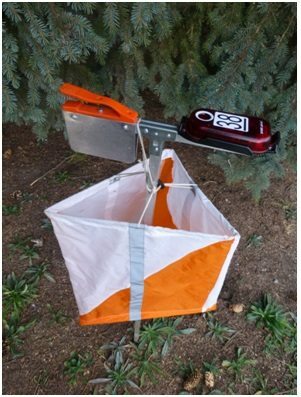 At each location there will be an orange and while "control" flag. You will use an electronic "e-punch" that we provide that will record your time at each control. The beginner course will show the "McKaig Locator System" numbers on the map so it will be nearly impossible to get lost. This is a sample course in McKaig. The actual start and finish for the event will be near the school parking lot. This is a "control" which is at each location marked on the map. There will be reflective material on the control so that you can easily see the location with a flashlight. 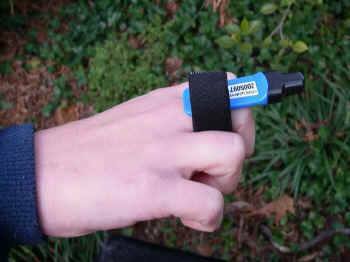 This is an "E-punch" which one member of your team will carry. It records the time you visited each control. When you return to the finish area, you will get a printout of your total time, plus your time between each set of controls. Event is Rain or Shine but not wind. Your account will receive a credit if canceled. Results will later be posted here, at enjoymckaig.org and dvoa.org. Meet in Old Roberts Schoolhouse for registration and instructions. Park in Roberts Elementary School parking lot.